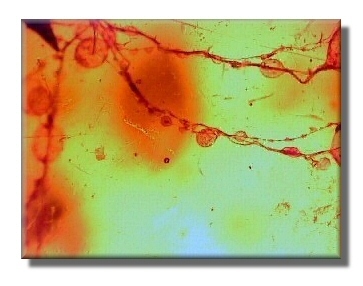 The oldest spider silk has been identified in Lebanese amber. The amber dates to this point the oldest spider web was about 40 million years old and found in Baltic amber. 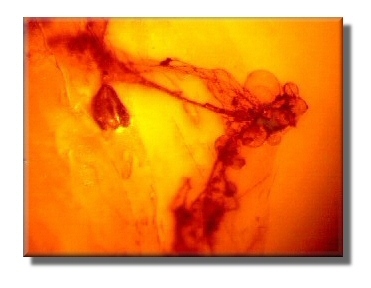 The amber piece was identified and discussed in the journal Nature, August 7, 2003. This was discussed by the Swiss researcher, Dr. Samuel Zxchokke from the University of Basel. Both modern orb-weaving spiders and comb footed spiders spin this type of silk. If the fossil filament came from an ancestor of one of those varieties, it was probably a comb-footed spider, says Zschokke. Today those arachnids are the only ones that spin webs bearing viscid silk near tree trunks, where seeping resin would likely to trap a stray strand of silk. These spiders produce a glue that is on the web and allows other insects to be trapped. The glue is also used to anchor the web. Spider silk itself, is not sticky. Spider web bearing glue droplets have also been found in Cretaceous Lebanese Amber. Also webs bearing glue have also been found in Baltic Amber from the Eocene period. Here is an in-depth story from National Geographic. 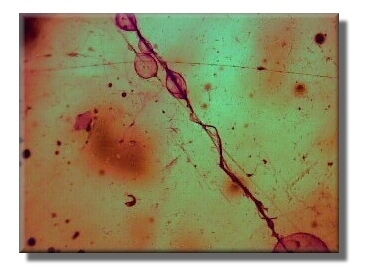 All of these pictures are similar to the spider silk found in Lebanese amber. They are actually pictures of spider webs that have sold at Amberica West!